Recruitment efforts take place throughout the year. Scouting units conduct a coordinated effort to enroll new members in the fall. The spring campaign focuses on recruiting boys that are Kindergarten through 5th grades. 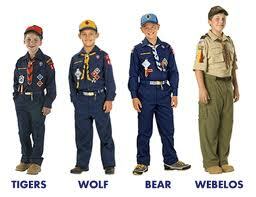 The Scouts BSA recruit youth in 6th-12th grade and Venturing recruits young men and women ages 14-20. Recruiting events are put on by Cub Scout packs, Scouts BSA troops and Venturing crews throughout the local community. Studies have shown that families/youth prefer to attend meetings at their school, and in their neighborhood. This will help ensure that every youth is invited to join Scouting. Our main objective is to give multiple joining opportunities to ensure that every youth is invited to join Scouting, and to fulfill our promise to new Scouts for a great Scouting program. Adventure is Calling – Join Scouting! For examples of recruiting materials available through the council, visit our Recruiting Resources page. For questions, please contact your District Executive.